The Kingdom of Bavaria used to be a prince elector duchy before Napoleon rearranged the European map and turned the duchy into a kingdom. 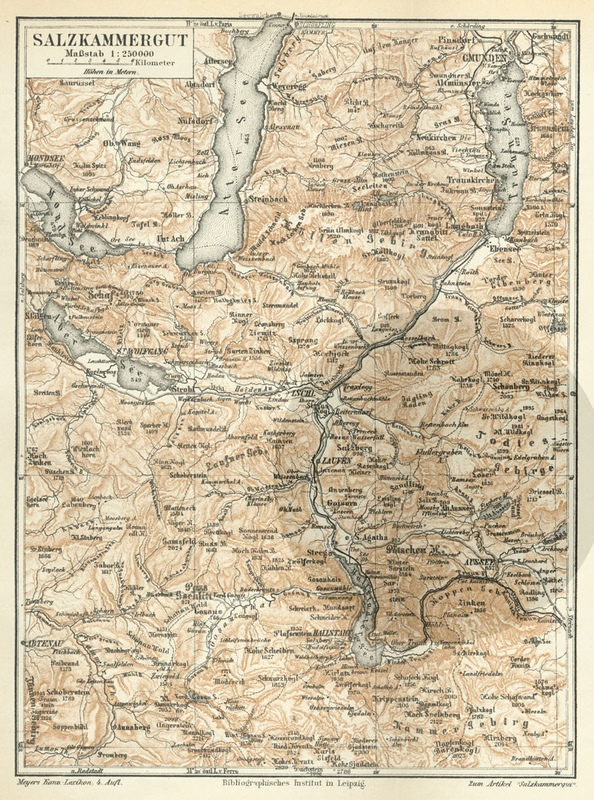 The kingdom of Bavaria was – for its time – modern and bound by a constitution. As a sovereign state is was part of the German Confederation. The German Confederation was a union of single predominantly German speaking states that existed from 1815 to 1866. The Bavarian Kings worked diligently on improving their residence. 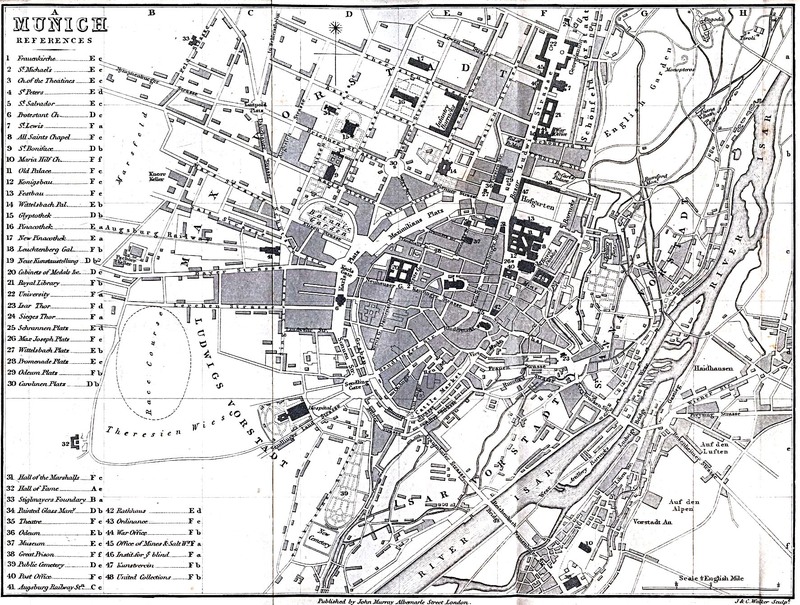 New and beautiful buildings and boulevards were built and the university was moved there. 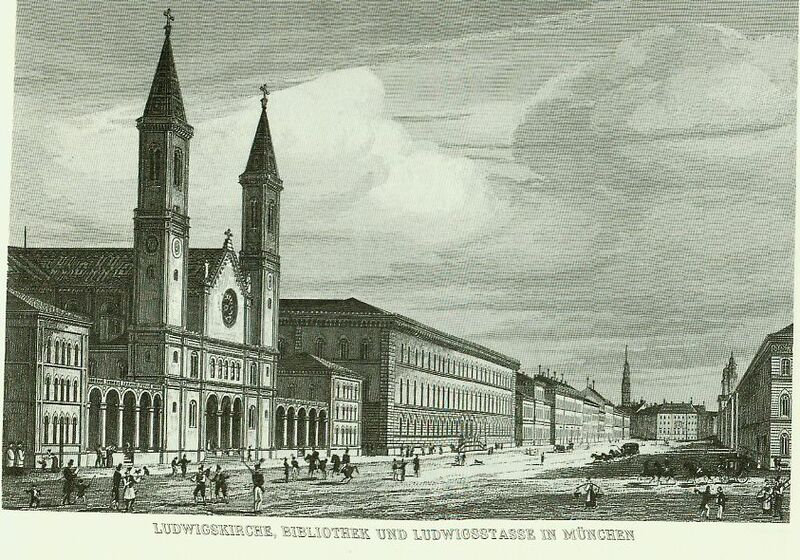 Most of the development went on during King Ludwig I and King Maximilian II. 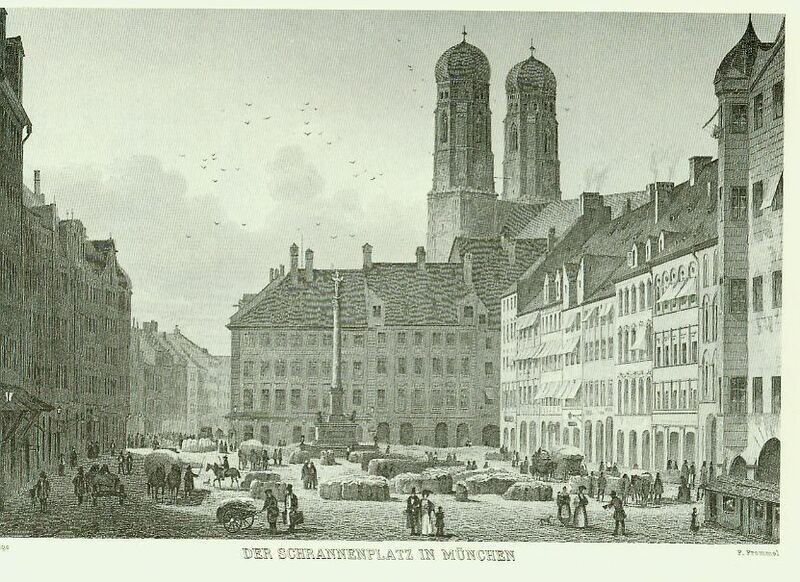 This is the main square (today: Marienplatz) Marie-Jeannette has to cross on her way to deliver her message. On this boulevard, Ludwigstreet, Delacroix rides toward the hotel. 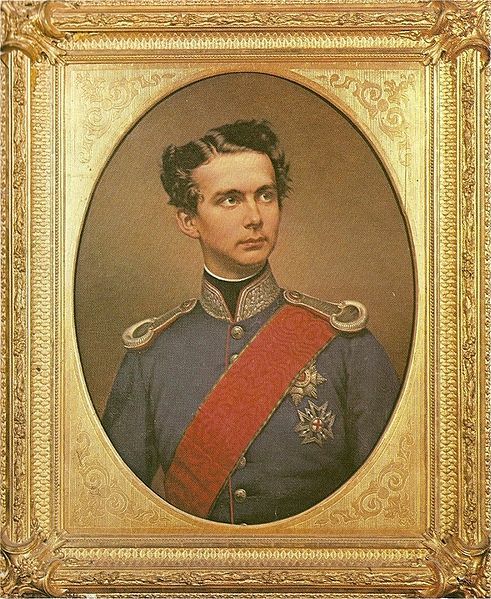 Ludwig II was Bavaria’s 4th King. In the year 1865 in which “Obsidian Hearts” is set, he was only 19 years old. With increasing age he grew more complex and chose to live a lonely life in castles he had built for himself. He lived his romantic dreams and finally, when the state got him certified unfit to rule a country, drowned in Lake Starnberg under mysterious circumstances. 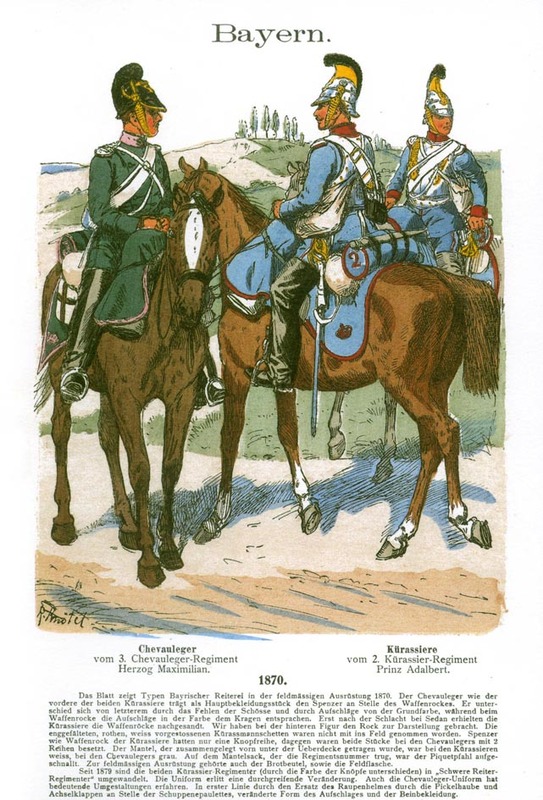 The Chevaulegers (from French cheval – horse and léger – light) was a generic French name for several units of light cavalry, roughly similar to lancers. 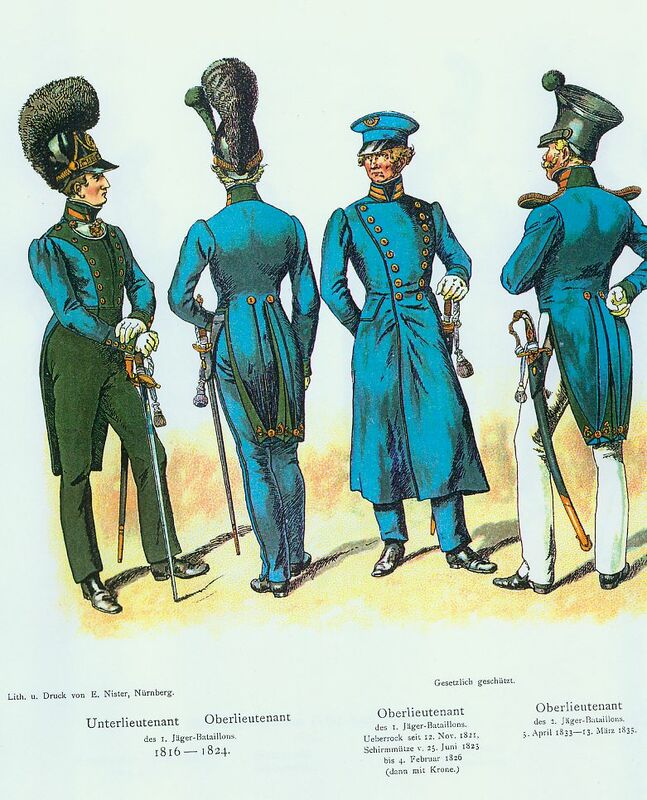 In Bavaria, members of this particular regiment were oddly popular. 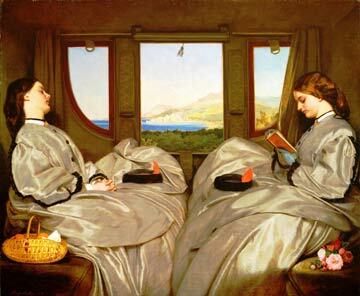 They were seen as particularly dashing and daring – not least in their dealings with female part of the population. 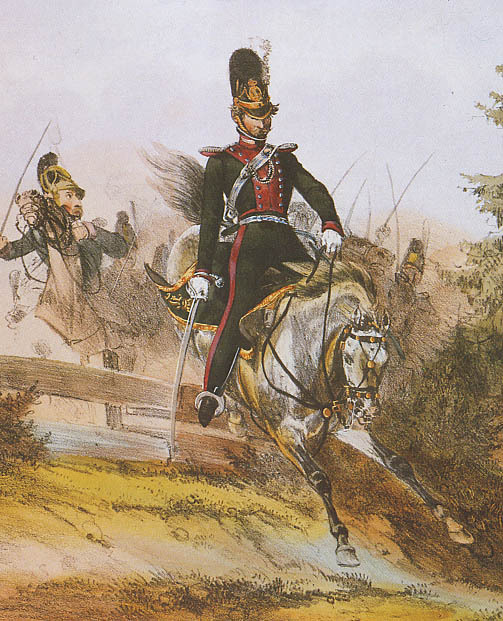 Udolf von Görenczy would have worn a green uniform with a red breast front. Asko von Orven belongs to a Jaeger battalion. “Jäger” (original meaning: hunter / corresponds to rifles, light infantry, chasseur) units were particularly well suited for special tasks as scouts, dispatch riders, and sharpshooters etc. and were often employed in tasks outside the normal battle array. 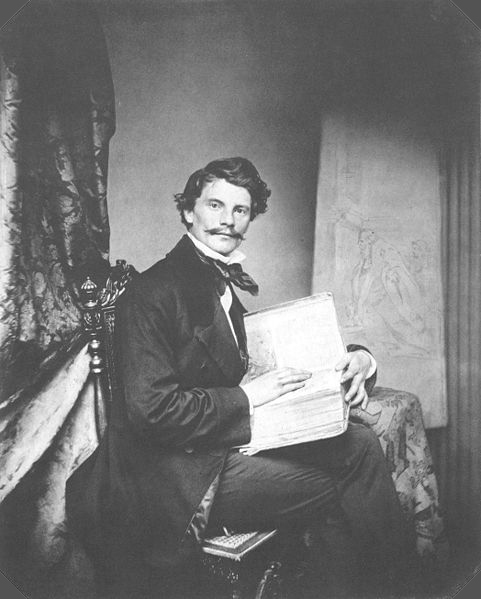 Asko von Orven would have worn a sky-blue (Bavarian blue) uniform. The Englischer Garten, German for “English Garden”, is a large public park in the centre of Munich, Germany, stretching from the city centre to the northeastern city limits. 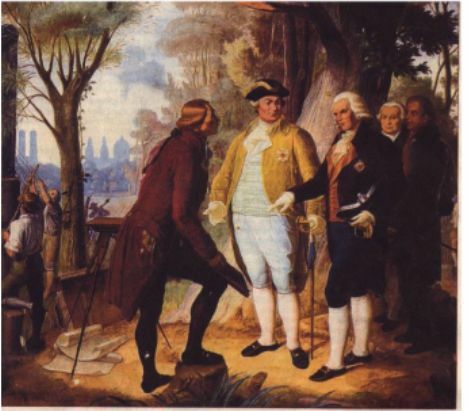 It was created in 1789 by Sir Benjamin Thompson (1753-1814), later Count Rumford (Reichsgraf von Rumford). With an area of 3.7 km2 (1.4 sq mi) the Englischer Garten is one of the world’s largest urban public parks, larger than New York’s Central Park or London’s Hyde Park. A whole network of canals and creeks runs through the park which also holds a little lake, Kleinhesseloher See. The Eisbach (German for “ice brook”) is a small man-made river that flows through the Englischer Garten and is a tributary of the Isar River. 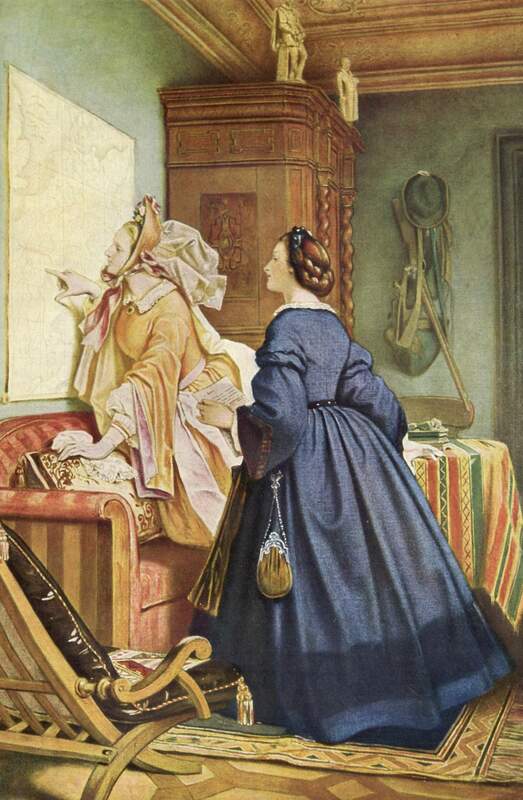 The sixties of the 19th century was the time of the large crinolines. 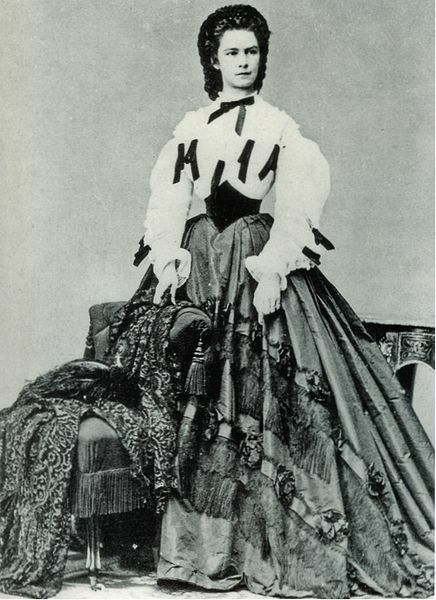 Ladies’ skirts comprised around 6 yards of fabric and were worn draped above a petticoated framework, the crinoline. 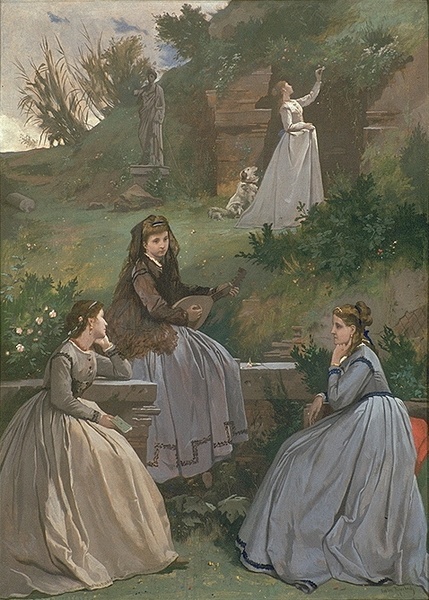 The ladies’ waists were arranged in corsets to give them an hour glass shape. This made quick movements or even bending down to pick something up rather impossible. The gentlemen had it easier: long top coats, waistcoats and high collars. 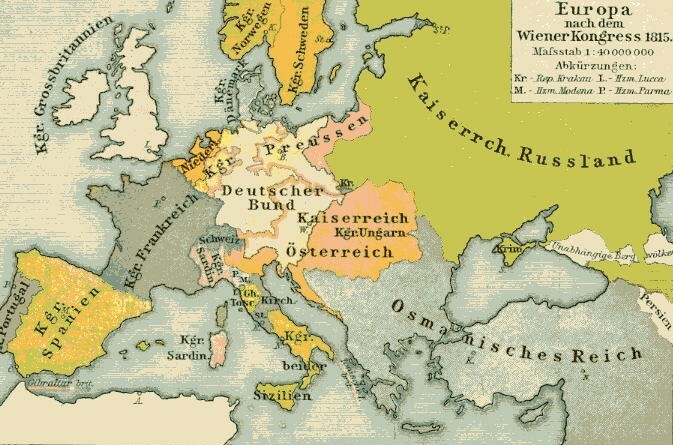 The eastern part of the Austrian Empire was part of the German Confederation. 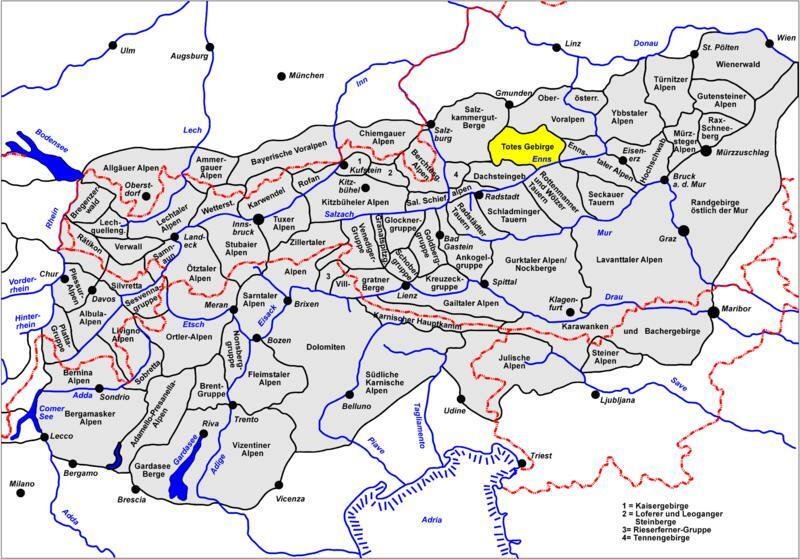 This political union comprised souvereign single states of predominantly German speaking kingdoms and duchies between 1815 and 1866 – prior to the foundation of the German empire. 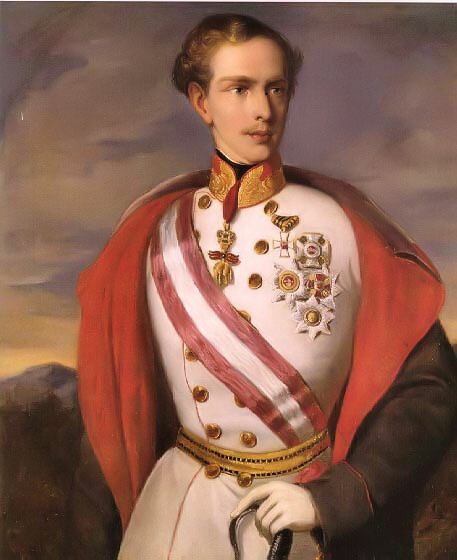 Head of state was Emperor Franz Josef I.
Emperor Fraz Josef I was married to the Bavarian princess Elisabeth, also called Sisi. 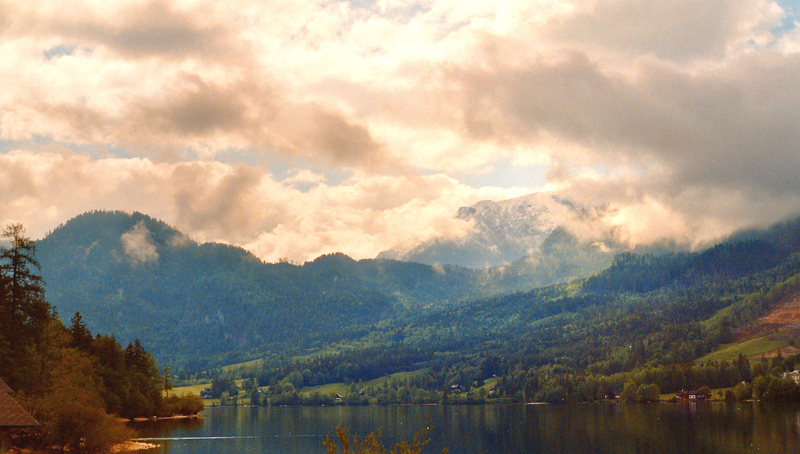 The story is set in the Salzkammergut, a lake district located in the Austrian Alps. 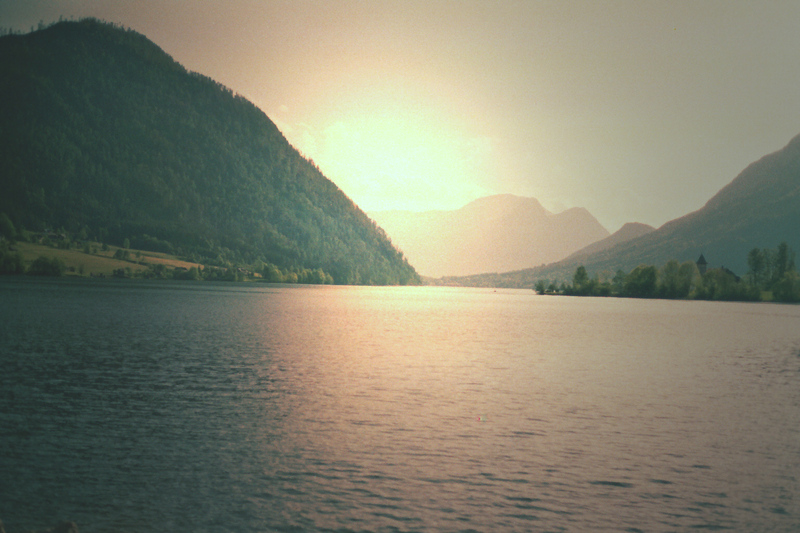 It stretches from the City of Salzburg to the Totes Gebirge (=Dead Mountains). 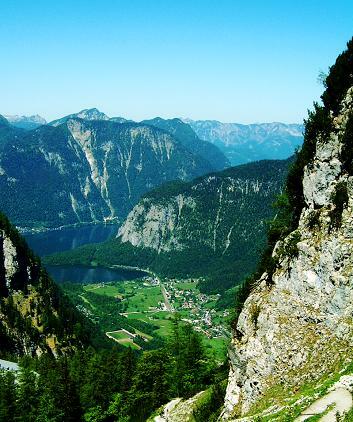 The name Salzkammergut means “Estate of the Salt Chamber” and derives from the Imperial Salt Chamber, the authority charged with running the precious salt mines in the Habsburg empire. 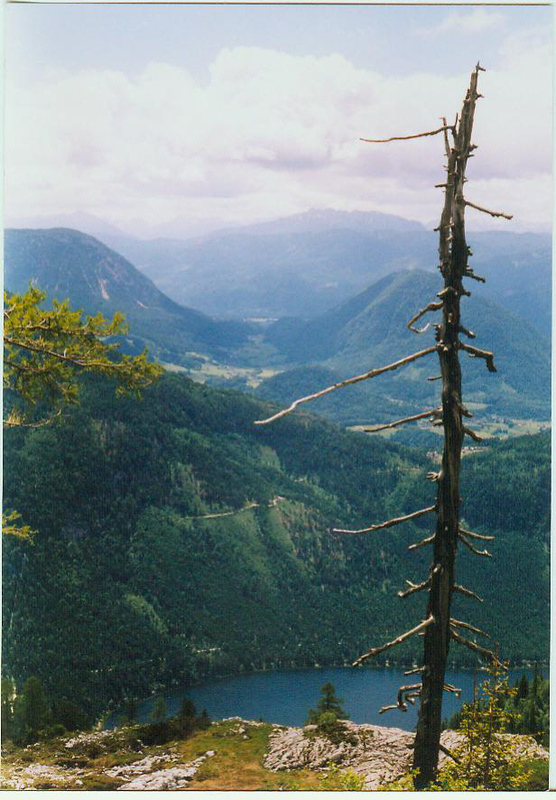 The Ausseer Land is the south eastern part of Salzkammergut and comprises the area around the lakes Grundlsee, Toplitzsee, Kammersee und Ausseer See. The region is rich in local myth. The “Water creature of Lake Grundlsee” can be seen depicted on the Grundlsee Village coat of arms. 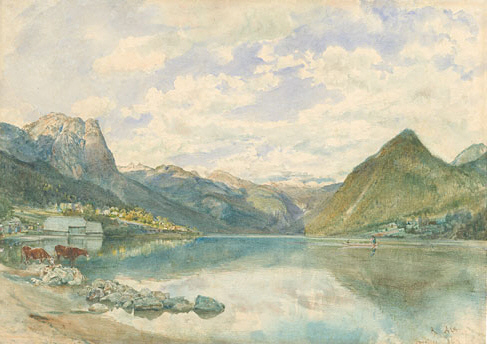 A 19th century painting by Rudolf von Alt shows Lake Grundlsee and Totes Gebirge (=the Dead Mountains) beyond. 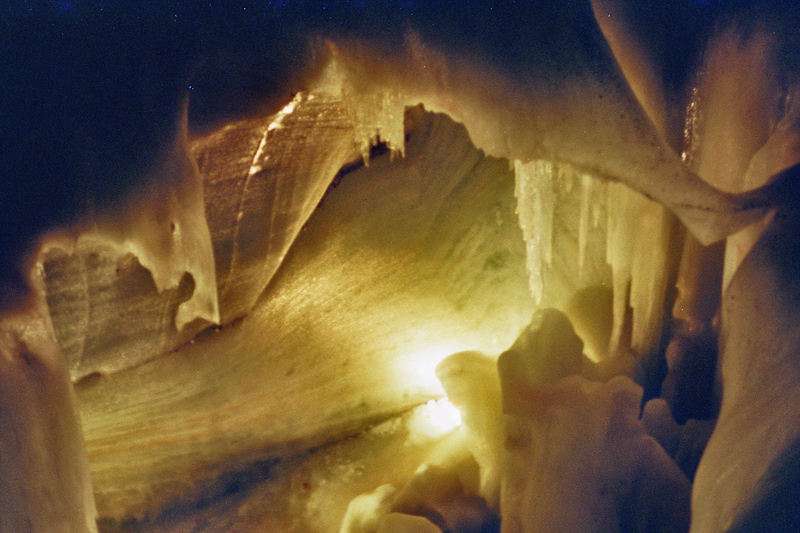 The mountains on the left are the place where Charlotte and Arpad are trying to find their way through the caves. 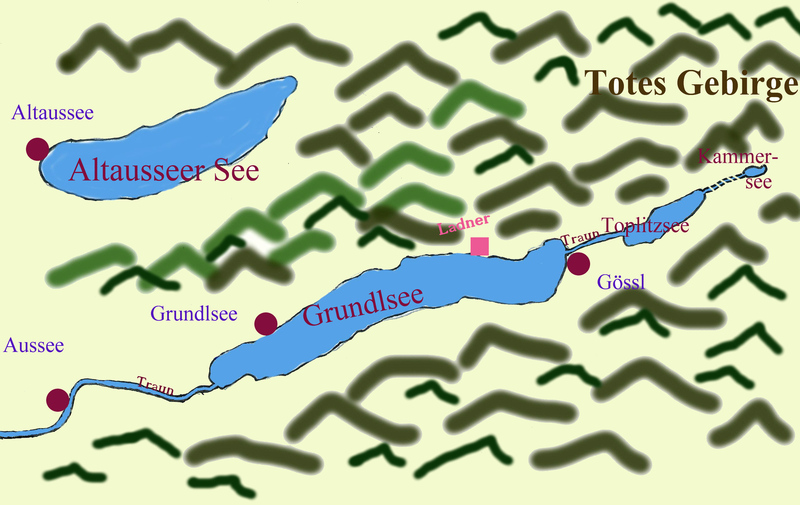 The “Totes Gebirge” (=Dead Mountains) rises to the north-east of the lakes of Ausseer Land. 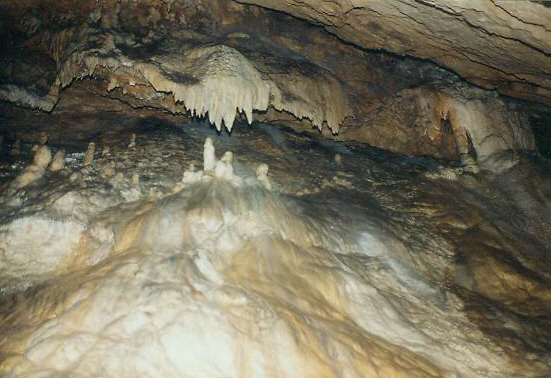 It is a limestone mountain range and full of unexplored caves. Ladner’s post station actually existed and still exists today as a country hotel and restaurant. 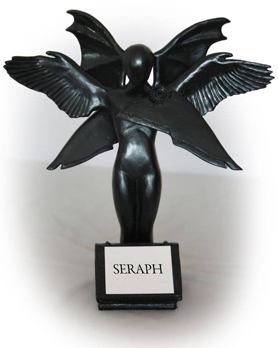 The Salige are mythical female creatures of the alpine region which have different powers attributed to them in different geographical areas. 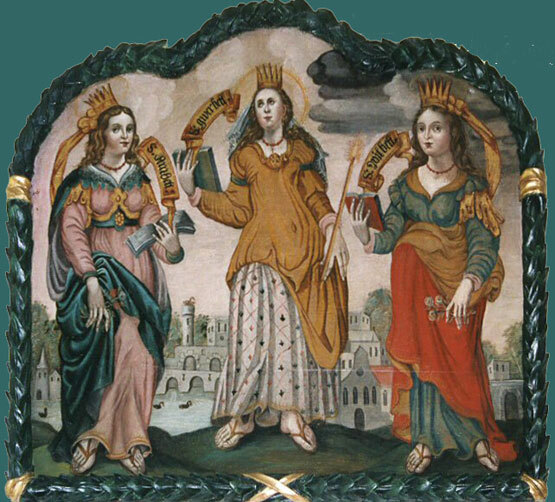 They are often identified with the three saints St. Margareta, St. Barbara und St. Katharina, but have also been worshiped under the names Embede, Wilbede und Warbede, or in early Rhaetia, where a main female goddess was worshipped, they were known as Aubet, Cubet and Quere or Ainbet, Gwerbet and Wilbet. This worship is definitely pre-Christian. 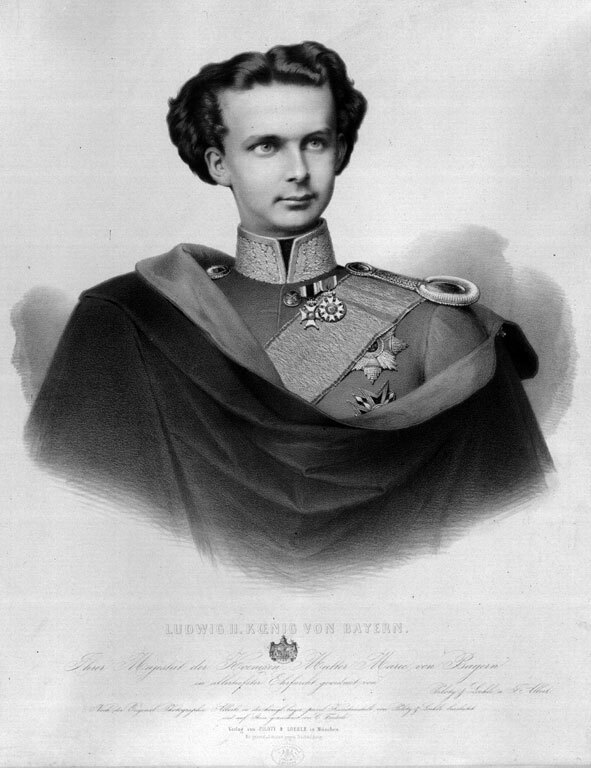 Ludwig II was Bavaria’s 4th King. 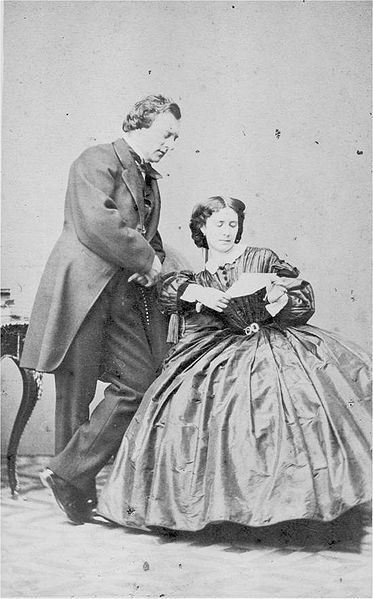 In the year 1865 in which “Obsidian Hearts” is set, he was only 19 years old.